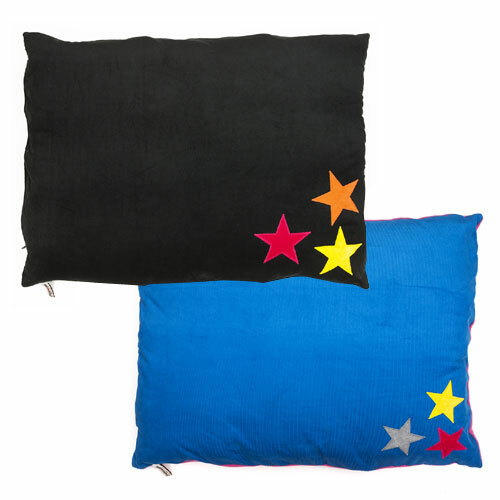 These super comfortable, totally luxurious Doza dog cushions feature a set of three colourful stars in the corner. Choose from classic black with greys, modern cotton denim, vibrant blue or black with rainbow colours. 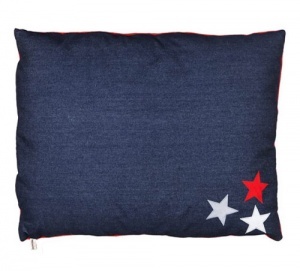 A fabulous addition to your home and a floor cushion that your dog, cat (or children) will adore. Woof! 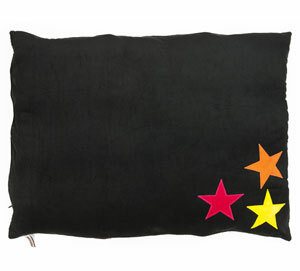 Dozas are the ultimate in creature comfort while bringing a snazzy designer element to your home. 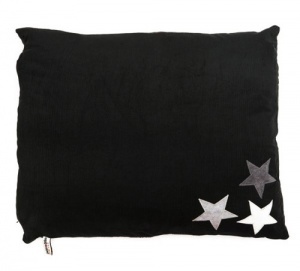 These luxury floor cushions have a gorgeous sewn loose outer cover with strong zip. 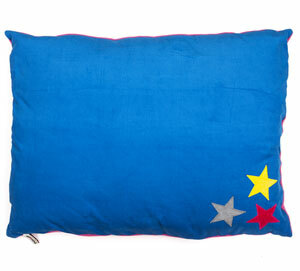 Filled with 2 separate specially made super squidgy spiral fibre 15 togg duvets that will not go lumpy. Both the insides and outer covers are fully machine washable at 40 degrees. The snuggly polar fleece underside keeps the warmth in and gives the bonus feature of making the cushion double sided. 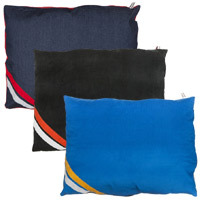 Denim features a red fleece underside, Electric Blue has pretty pink, while the black Dozas keep the theme with classic black polar fleece bases.